As I have traveled twice for work to Lancaster, visiting the Lake District was a logical choice. Windermere is just a 40 minute train ride from Lancaster. Everyone I consulted (which was not much) told me to go to Windermere as that is the rail head as well. So, I had a hotel booking at Windermere. When I got off the train I saw a bus that advertised a day pass for Pound 10 and the last stop was Grasmere. I immediately made up my mind to go to the last stop on the bus route the next day. As I would buy a day pass, if I did not like the place, I could catch the next bus and get down somewhere else. That is the kind of planning I did for my trip in the era of internet! After checking into the hotel at Windermere, I did another uncharacteristic thing! I am a vegetarian by choice. But this was my fifth trip to UK and I wanted to try fish and chips! So I went looking for it, bought it but did not like it much. 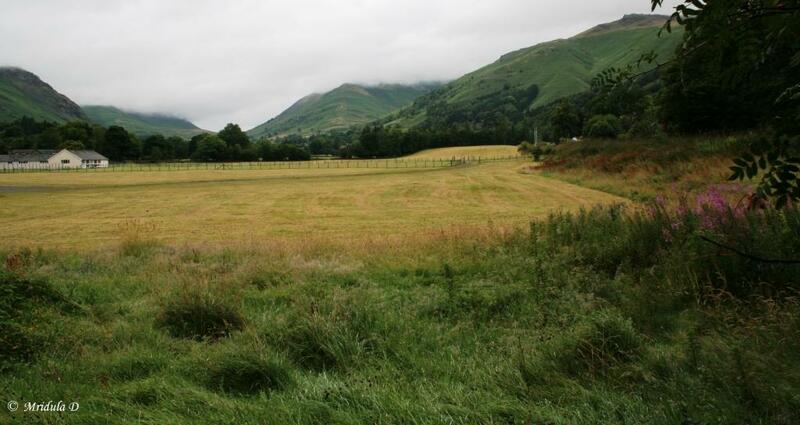 But my second adventure turned out to be much better, which was going to the last stop, Grasmere. Fresh from a good night’s sleep and after a hearty breakfast I arrived at the bus! In fact, the breakfast was so hearty for me that I asked them to reduce the portions as I do not like to leave food on my plate. The bus did not take long in arriving. I went to the open rooftop even though it was a typical British grey weather day! When I got down at the Grasmere, I just followed the crowd. And guess where it took me? 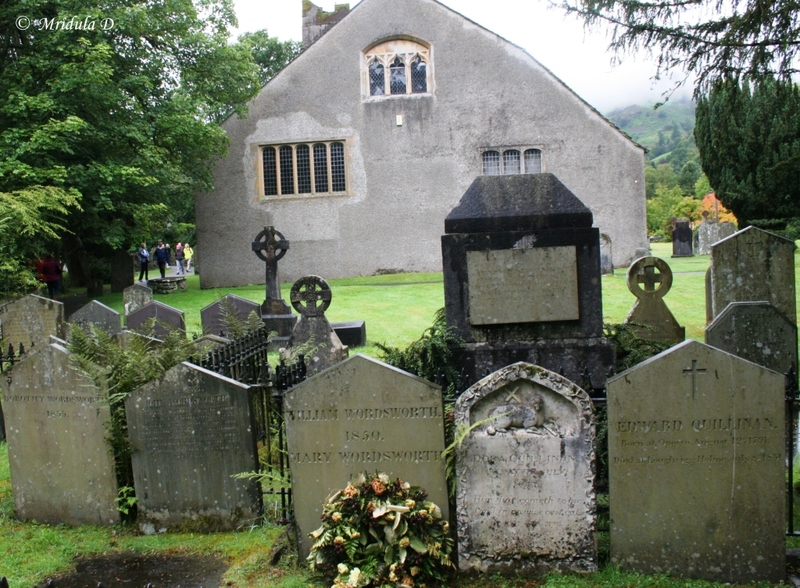 It took me to the family grave of the poet William Wordsworth. I turned up at Grasmere without any idea of the deep connection Wordsworth had with it. It was such a pleasant surprise! Tucked in a corner near the St. Oswald’s Church and the grave, is the best Gingerbread shop you will ever find. I bought one initially just to taste it and then went in again and bought a pack of six. However, for me no holiday is complete without walking around a place. While walking around the chruch area I chanced upon the tourist information office. I decided to go in and inquired about the walks that I could do in the region. I guess there was something amiss, as the lady asked if I had hiking boots and rain gear. When I replied in negative she suggested that I was better off walking around the Lake Grasmere and to the Dove Cottage, the home of William Wordsworth. The Dove Cottage didn’t work for me as the entry fee was just too high. But I had an amazing time walking around the lake. 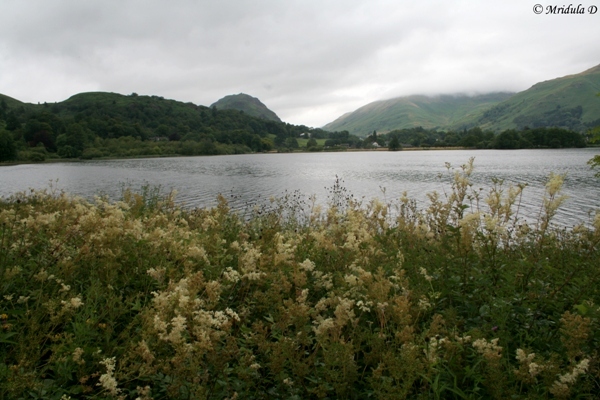 There is a well kept path around the Lake Grasmere and I had an amazing time walking by it. 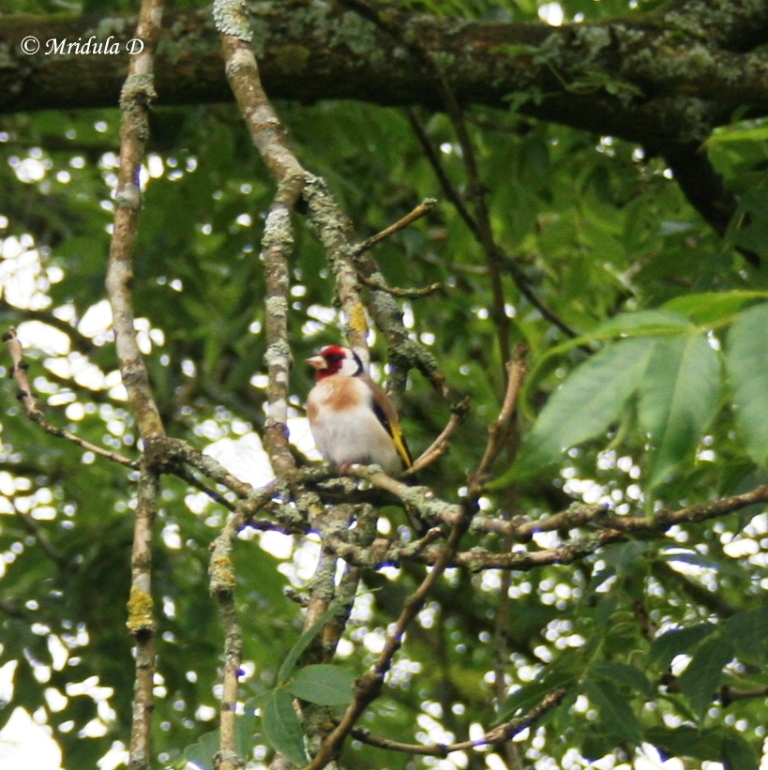 I had the luck to hear to a Goldfinch singing in a tree. It was an overcast day, ready to rain. I had just one day at Grasmere. None of my pictures have even a little bit of blue in the sky. As for going somewhere else, it never happened. I took a late bus back to Windermere. If I ever go back to Lake District, I will make Grasmere my base and then probably catch a bus to the last stop of where ever it goes! As I was saying in my last post, I sometimes just visit a place without knowing a thing about it. 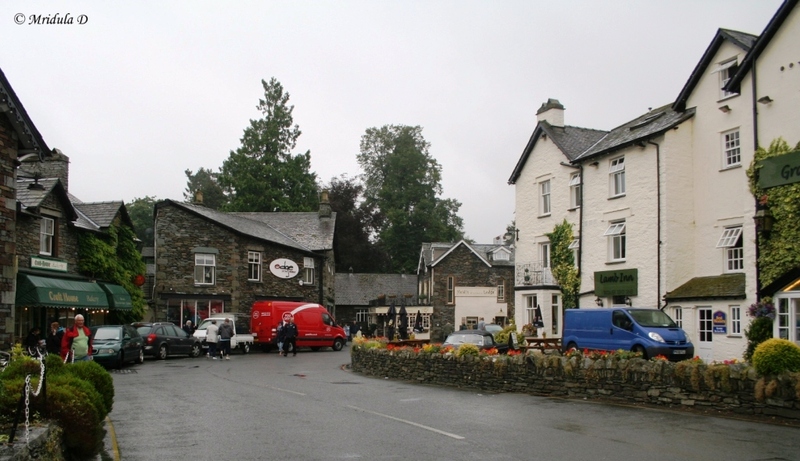 Grasmere was one such place where I just turned up because it was the last stop on the open top bus for which you could buy a Day Rider. This was my first impression of the place and I liked what I saw, it looked small and cozy. 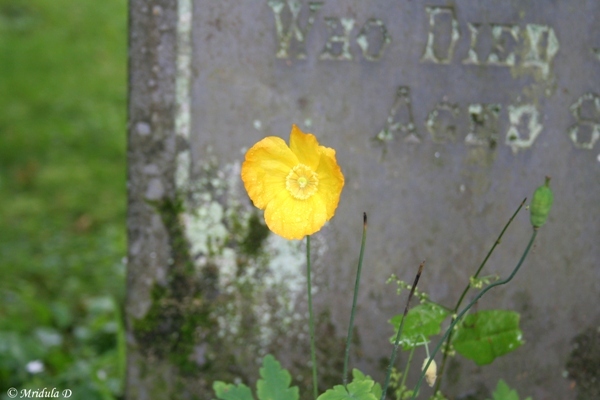 The thing is I did not know what to do next after I got down from the bus, so I just followed the crowd and which led me to three things, The Cemetery behind the St. Oswald’s Church, the church itself and to the Grasmere Gingerbread shop! While I was about to enter the park where Wordsworth’s grave is, I stood for a while reading the signboard. It talked about Daffodils and Wordsworth but as I had just turned up at the place it was only later after reading more sign boards I realized that it was a tribute to Wordsworth and he rests there! 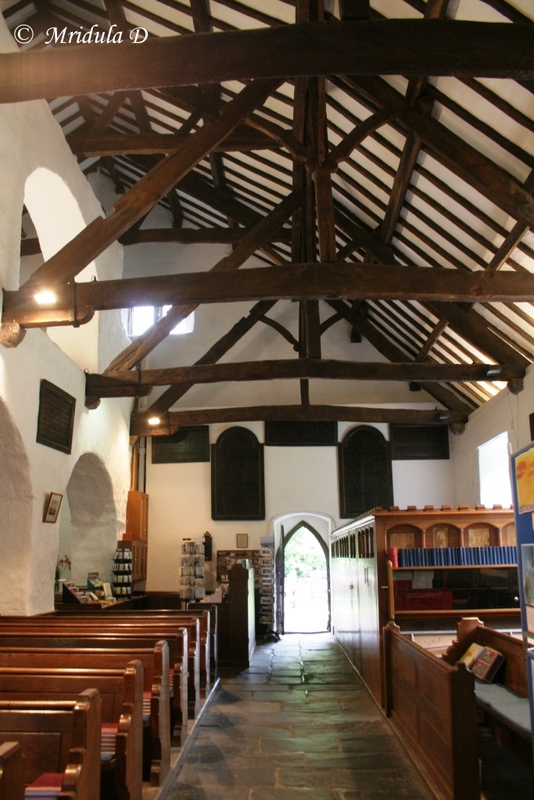 From there the next logical stop was the St. Oswald’s Church, which is right behind the garden. It is a peaceful place, a place whether you worship or not, you would like to sit quietly for a while and contemplate. I did just that. On getting out I saw the Grasmere Gingerbread shop and went in to have a look. I bought one bread and came out. A few bites later I went in again and bought a pack of six but I have written about my experience with the Grasmere Gingerbread in detail about it before. After this I was a little confused as to what should I do. So I walked into the tourist information center and the helpful lady out there told me of two walks, the Roathy River Walk and the Walk to the Lake Grasmere. She also mentioned Dove Cottage where William Wordsworth used to live for a while. I decided to check out all the three. I walked up to the Dove Cottage first but when I entered the book shop next to it and inquired about the entrance fee, I decided that I was happy after looking at the exterior only. 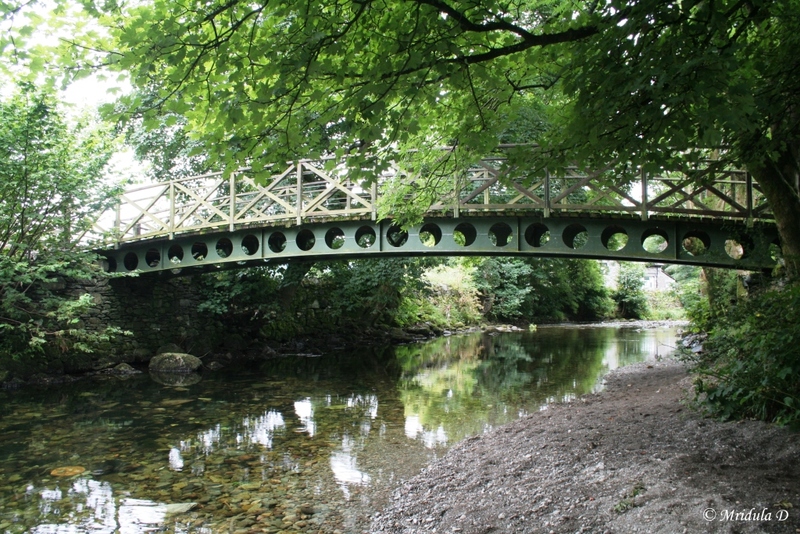 I then did the Rothay River walk and it was a pleasant short walk next to crystal clear water. But if you are used to what we call rivers in India, this one was much smaller in size. I met them doggies on this route too but most of them were really well behaved.But the best of all was my walking around the Lake Grasmere, it was quiet, it was beautiful and it was soul lifting. 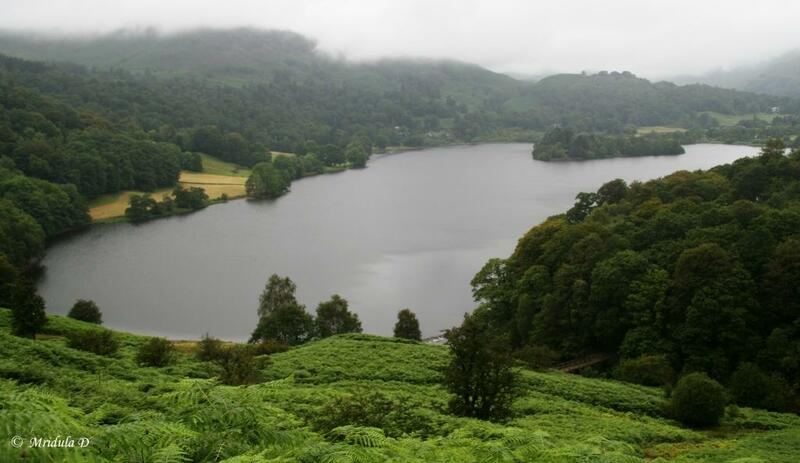 By the time I reached the other end of the Lake Grasmere I wanted to keep walking. So instead of coming back via the route I went by I started walking from some other side, knowing the general direction of the road. I asked a few people with maps to tell me if I would meet the road eventually and they said, yes. So, after walking for quite some time via beautiful scenery, I reached the bus stop and headed to The Stag’s Head at Windermere. As an added bonus, I managed to spot this Goldfinch but unfortunately my zoom lens was not working, so clicked this from my wide angle lens. But what a sweet song the bird has! The days have been quite hectic and it will continue for at least two more weeks. So I have to be content to blog mostly via pictures even though stories remain to be told. 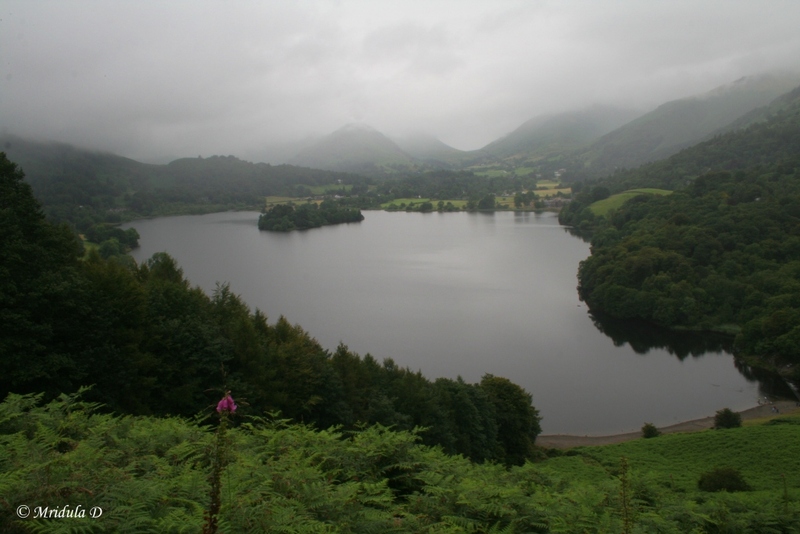 I leave you all today with a picture of the Lake Grasmere, part of the Lake District in UK. 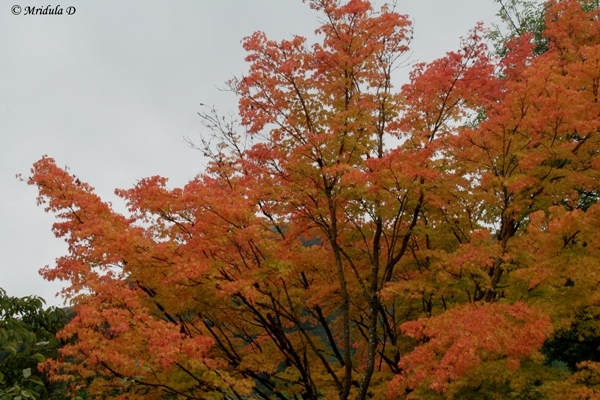 I hope I will return one day and I will get blue skies to do the photography. But I am not complaining.